We might all think we’re poets after three IPAs and a tequila chaser, but when people ask Mike Sonksen about his occupation, he actually gets to say he’s a poet. Before you question the legitimacy of a profession in poetry, might we remind you that poetry may actually predate literacy on this planet? Mike stumbled into the Los Angeles poetry community as a teen, and by his mid-20s, he was dishing out lyrical discourse several nights per week. Over a decade later Mike the PoeT performs over a hundred readings each year, all the while leading his own ballad-driven tours of the city. The most recent incarnation of said tours is Urban Hike, for which he partnered with the A+D Architecture and Design Museum, Craft & Folk Art Museum and Red Line Tours to highlight LA’s local culture, history and architecture through verse. He also writes a column for KCET, L.A. Love Letters and teaches creative writing at St. Bernard High School in Playa Del Rey. However, he's not a lone odist. Even in LA—a town fixated on being seen (from movies to appearance)—if you close your eyes and listen, there’s a vast underworld of spoken word that pulsates and prospers in our bookstores, museums, theaters and schools. Not only is the city’s poetry-scape rich, but also multicultural too. “The scene may be the most diverse artistic milieu in Southern California. 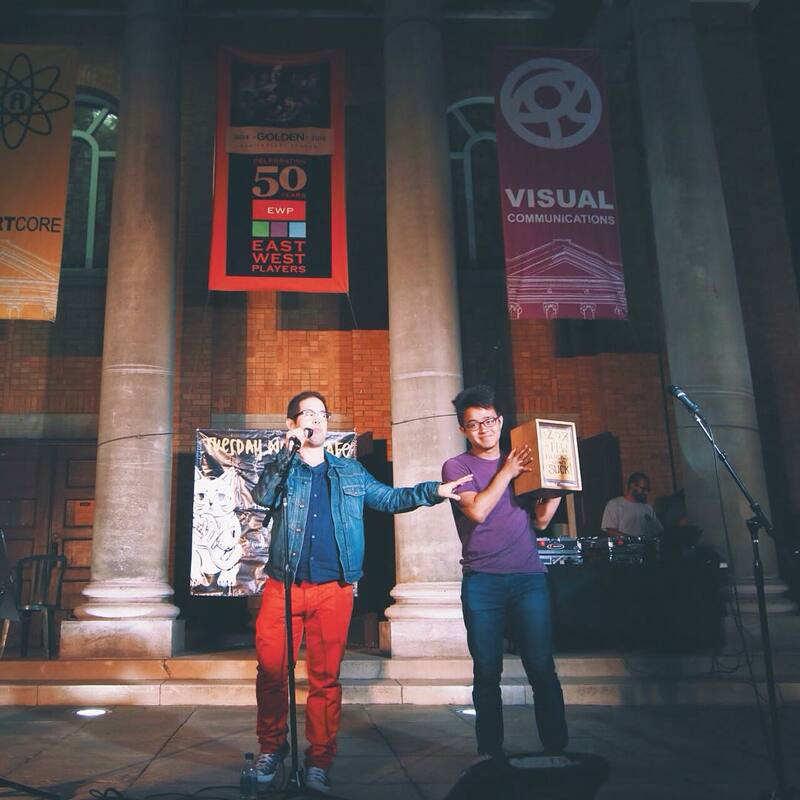 From spoken word, to traditional, to academic, to avant-garde, to LGBT, and then there’s the Black Arts scene, the Chicano, the Asian American,” Mike explains. Mike Sonksen: Here are my favorite regular poetry events. A poet can read poetry seven nights a week in LA, and a few times in one night if they don't mind driving. MS: An open mic founded by Cory Cofer AKA Besskepp has been held in Pomona for 16 years now. DJ JB spins old school hip-hop between poets and the age of voices range from 16 years old to senior citizens. 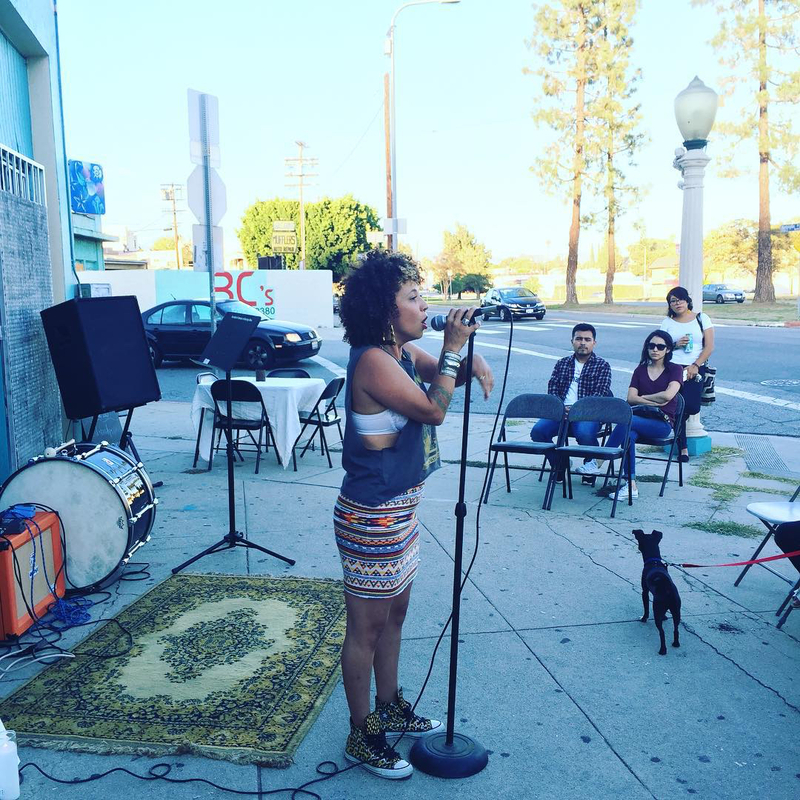 The monthly Mic & Dim Lights event is one of the crown jewels in the Pomona Arts District. MS: Avenue 50 has been an epicenter for not just Chicano poets, but also a mecca for feminist writers across Southern California. Karineh Mahdessian hosts there a few Sundays a month and they often have Friday night events as well. MS: Beyond Baroque* is the longest running literary space in the city, dating back to 1968. 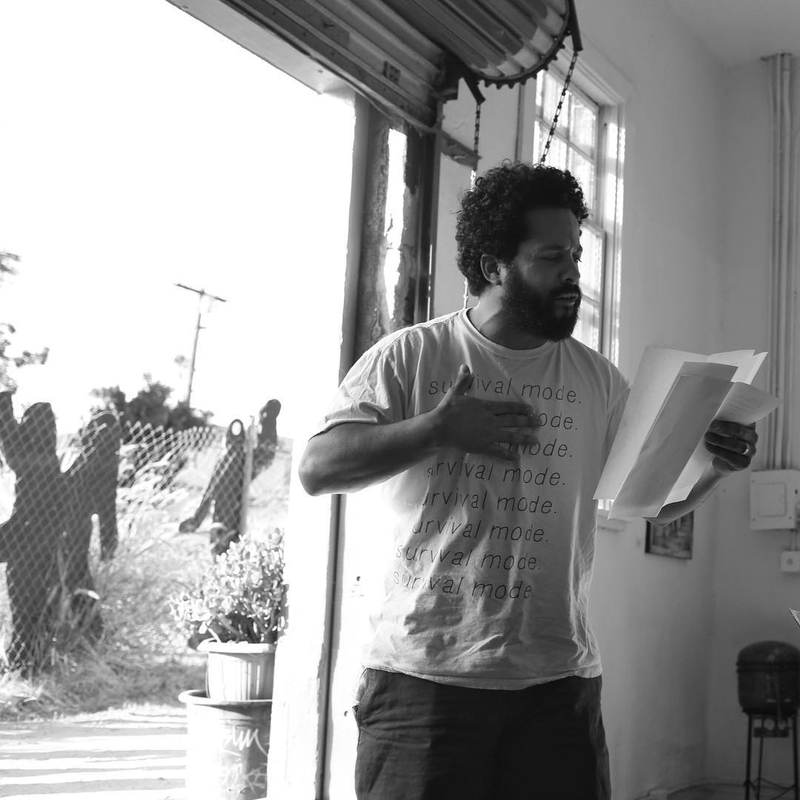 Their Wednesday Night Poetry Workshop has a history that dates back to LA poet legends like Wanda Coleman, Michael C. Ford and even Tom Waits was there in the early 1970s. *You can get along and witness ‘Mike the PoeT’ at Beyond Baroque on April 17th. MS: The Cadence Collective throws a monthly poetry event in Long Beach at the Fox Coffeehouse, hosted by Sarah Tatro and Murray Thomas. The crowd ranges from Long Beach State poets to punk rockers to folks from northern Orange County. A generous spirit defines the space and the audience is usually standing room only. MS: Their monthly Friday night reading is one of the most popular in southeast Los Angeles. Elmast Kozloyan and Raquel Reyes-Lopez are magnanimous hosts and the store itself is loaded with books from floor to ceiling on all sides. 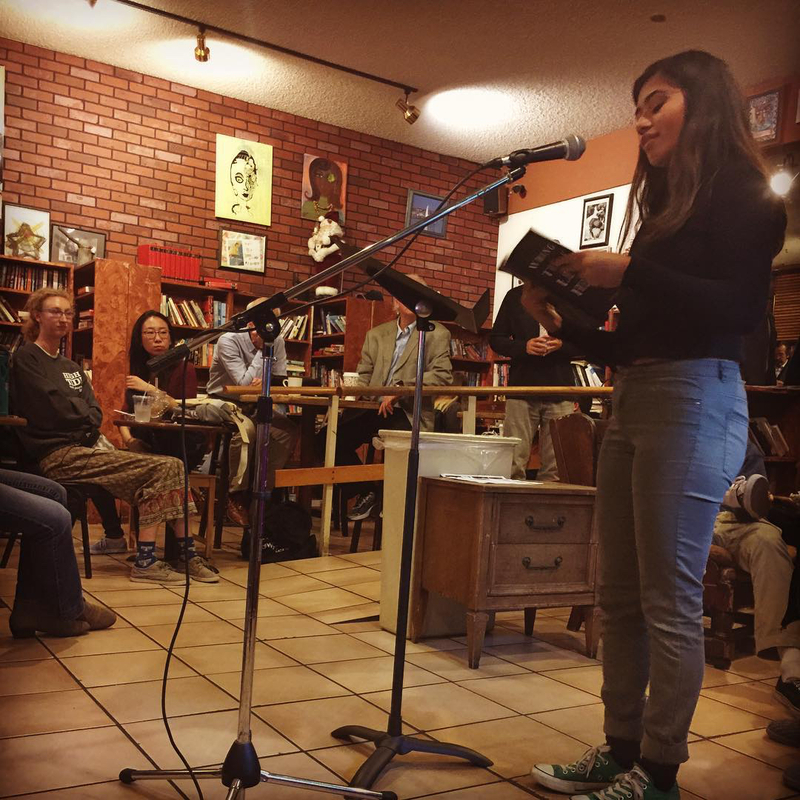 MS: The Redondo Poets weekly reading has been going strong for almost two decades. Host Larry Colker is a diehard of the Los Angeles Poetry Community and he works very hard to bring in great features from all over the city. MS: This space was co-founded by Los Angeles Poet Laureate Luis J. Rodriguez and his wife Trini Rodriguez in the Pacoima/Sylmar area. Their Friday night open mic is a vibrant reading. Rodriguez is often there—a favorite of Bruce Springsteen and John Densmore, the drummer of the Doors. MS: One of the biggest readings in the San Fernando Valley. Hosted by Jason Brain, Soapbox Sessions features a great blend of spoken word and more traditional poets in this space. 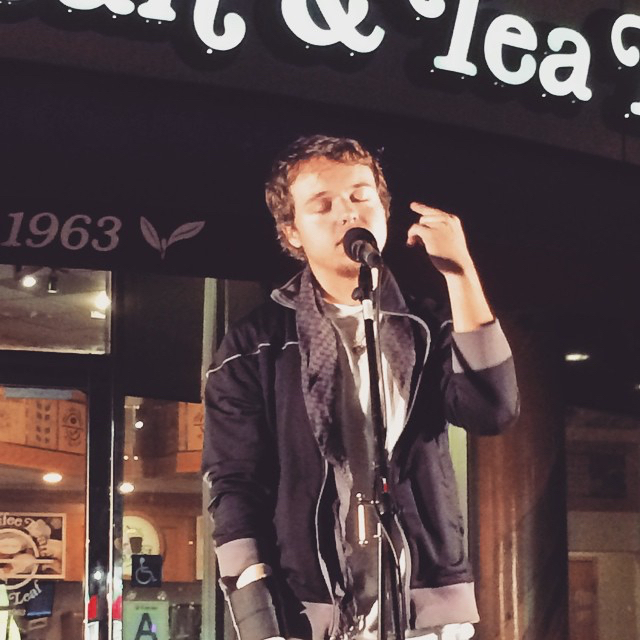 The event runs from Spring to Fall in an outdoor patio at a Coffee Bean on Ventura Boulevard. 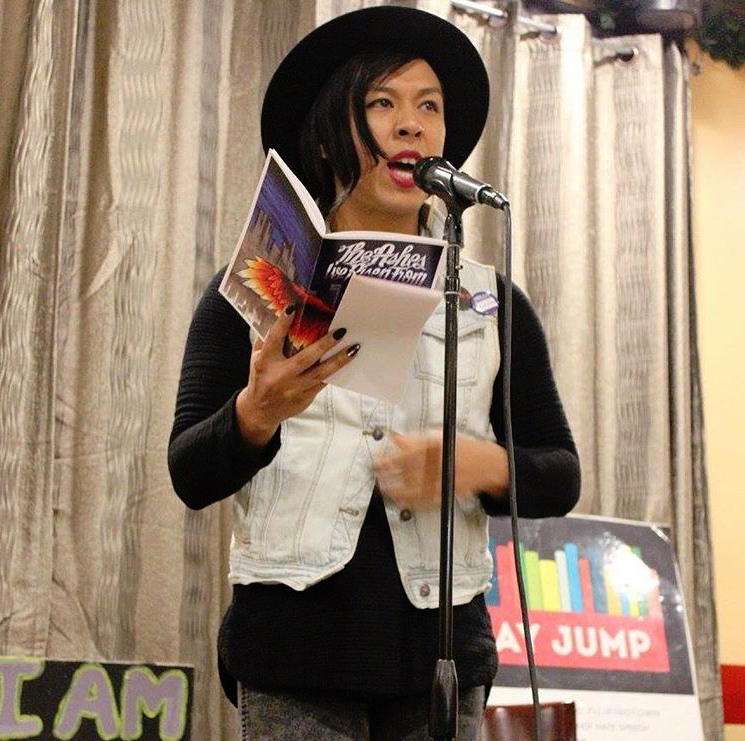 MS: An important platform for young Asian American poets in the city. Held on the first Sunday of each month, Sunday Jump takes pride in providing a safe space for marginalized voices. The event is hosted by Stephanie Sajor and Eddy M. Gana Jr.
MS: The World Stage has a 27-year history and the most important venue for Los Angeles African-American poets. Originally founded by legendary poet Kamau Daaood and mythical jazz drummer Billy Higgins, The World Stage has hosted legends like Amiri Baraka, Jayne Cortez, Sonia Sanchez and countless others. They have also moved into a bigger space across the street from their original site. MS: Founded 18 years ago by the poet and activist Traci Kato-Kiriyama, Tuesday Night Café is held near 1st and San Pedro. 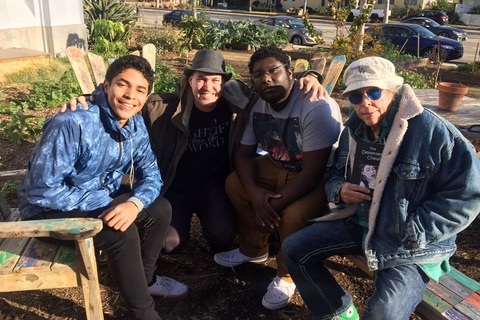 Poets share their words in an outside patio a few blocks east of LA's City Hall. The building’s silhouette looming overhead adds even more atmosphere to the dynamic reading. 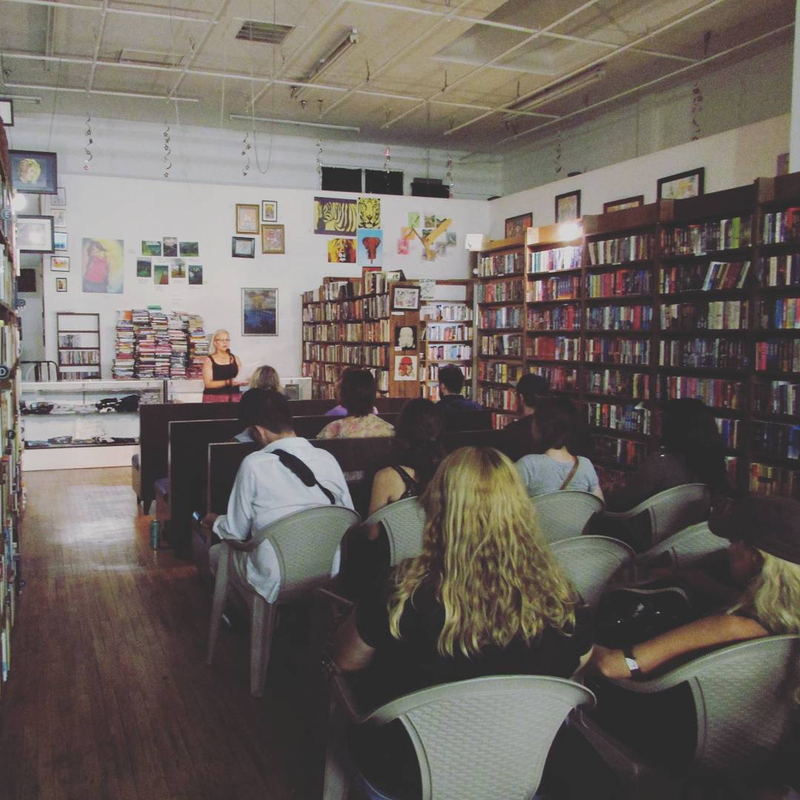 MS: One of the most important venues in the burgeoning east side poetry scene. Hosted by Iris DeAnda at the Eastside Café on Huntington Drive, the vibe here is one of the most welcoming in the city. MS: I’d also like to mention a few spaces that hold multiple readings a month: Eso Won Books in Leimert Park, The Last Bookstore in Downtown LA, Skylight Books in Los Feliz, Stories in Echo Park, the Poetic Research Bureau in Chinatown, Vroman's in Pasadena and Book Soup on the Sunset Strip. Beginning in April, catch Mike performing during the Made in LA series at various LA Public Library locations. Belinda Gosbee is an Aussie writer, actress and coffee snob based in Los Angeles. She enjoys performing Shakespearean sonnets to her boyfriend. He does not enjoy them. Follow her jaunts on Twitter​ @belindagosbee or Instagram @gos22. Cozy, quirky coffeehouse with bookshelves & a chill vibe, plus occasional live music. 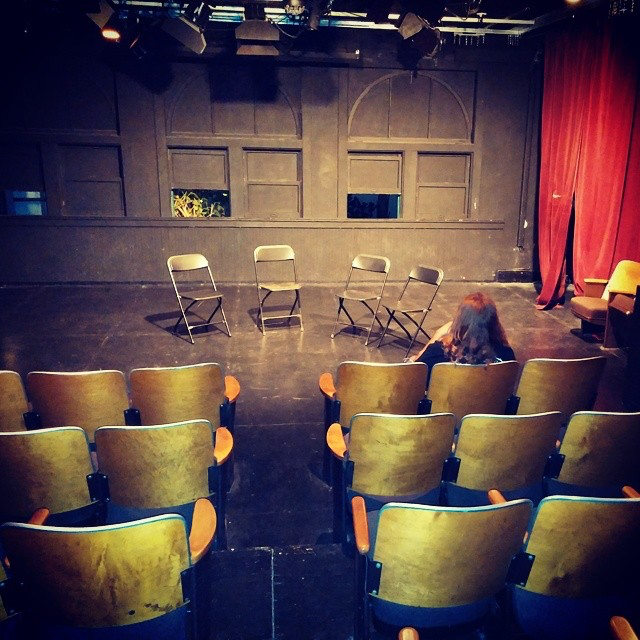 Nonprofit community space celebrates African-American music, literature & spoken word with shows. Upbeat spot with classic Filipino cuisine served family-style, plus regular karaoke & live music. The second largest poetry venue in LA County. Old-school source for secondhand books, records, movies & magazines, plus open-mike poetry readings.